On Sunday the proclamation of the word took place through the words of Scripture themselves. It’s not often that many of us hear this whole story – – from the anointing of Jesus through the last supper with his disciples to his death and burial. It’s not often that we hear how the crowds shouted “Hosanna!” on Sunday, wondered what’s coming next on Thursday, and then denied Jesus and scattered in the days that followed. It’s not often that we hear the fear of Jesus’ enemies turn into anger and, ultimately, violence. I’m so grateful for the church member, Bill Lenarz, who snapped this picture during worship. Today was one of those days where there was a lot going on in the service and behind the scenes. It was the culmination of the first unit of our new children and youth education ministry, Faith Craft, a description of which is coming in a post later this week. 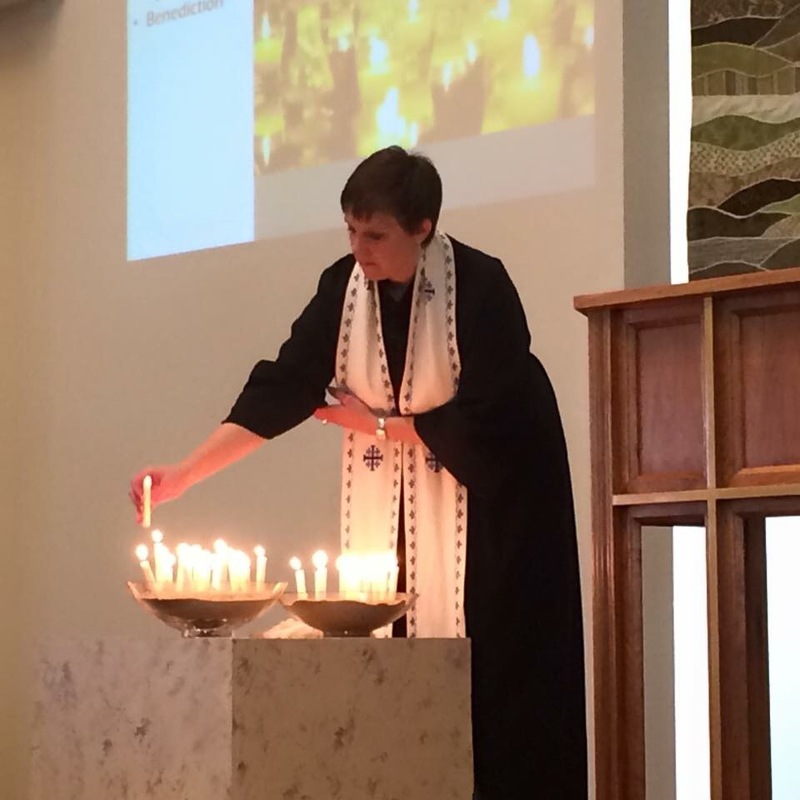 That meant the sermon was Be a Miracle – All Saints Day 2015. We were celebrating communion, as we regularly do on the first Sunday of the month. 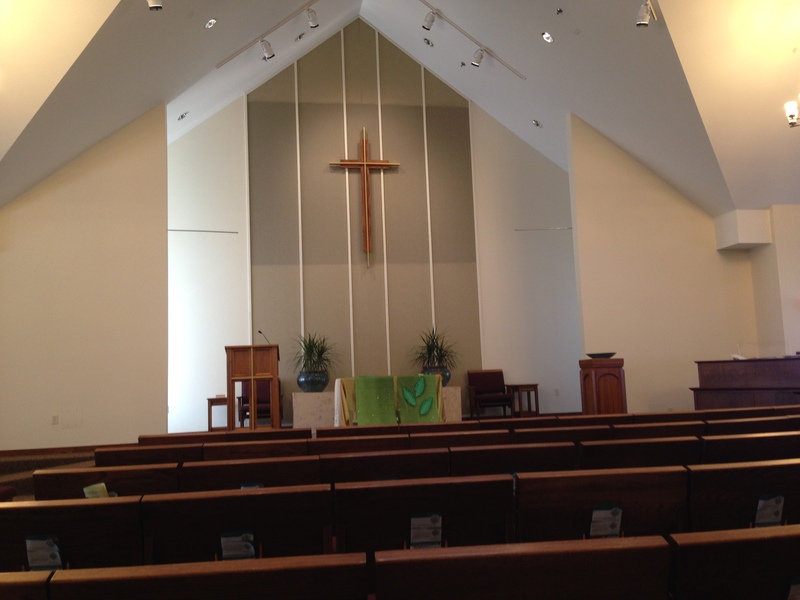 We were taking a picture of the congregation to use in promotional materials after worship. None of it on its own was hard, but it just meant there were a lot of details to remember, logistics to take care of. But it was also All Saints Day, and over the years I’ve developed a love for All Saints Day. Like many Presbyterians, it’s not a feast day I grew up with. I don’t even know when I first experienced All Saints Day worship. Maybe seminary? Whenever it was it carved a special place in my spiritual life that has grown in importance over time. I love the dedicated day to reflect on those saints, living and dead, in my life and in history who have shown me what it looks like to follow Jesus, who have challenged and nurtured my faith in just the right doses at just the right times, who have lead the church to be the Body of Christ in the world. Finding participatory ways to lift up this day, to try to help it be a blessing to others the way it is to me, is a joy. This year the video was already going to have that participatory feel. The congregation, through the interviews they had already provided was going to do the “preaching.” Including the Cloud of Witnesses banner we have created that bears the names of the saints in our church and our lives was an option. But it was in a conversation with a friend that the plan to light candles in honor of our saints was added to our service this year. My friend wasn’t going to be in her own home church for All Saints Day this year, and she was down about missing their service of candle lighting. It’s not rocket science, but meaningful worship experiences don’t have to be. After communion, I simply invited worshippers to come forward and light candles in honor of the saints in their lives. They could speak the name aloud as they light the candle or light it in silence. If they didn’t want to come forward they could speak a name from their seat, and I would light the candle for them. At the end, after lighting candles for the saints of my friend who was missing this experience in her own worship, I lit a final candle for all those saints who had been remembered in the quiet of our hearts. The picture above captures the lighting of these last candles. It’s a picture that I’ll treasure because it’s one of those sweet-spot moments as a pastor when the leading of worship and my own chance to feel immersed in the experience of worshipping line up perfectly. It’s a snapshot that will remind me of my call to craft worship that asks for the active participation of the whole Body of Christ, my place in that Body, and the gift of saints who have walked with me and before me on this road of faith.